Tina Brown's Must Reads: The Queen's Jubilee As Britain celebrates Queen Elizabeth II's Diamond Jubilee, marking 60 years for her as monarch, Newsweek editor Tina Brown recommends readings on the history of the queen's reign and her enduring popularity. Queen Elizabeth II arrives for an event with The Argyll and Sutherland Highlanders, 5th Battalion, The Royal Regiment of Scotland, in London on Wednesday. Tina Brown, editor of The Daily Beast and Newsweek, tells us what she's been reading in a feature that Morning Edition likes to call "Word of Mouth." This month, Brown shares reading recommendations on Queen Elizabeth II and the royal family. 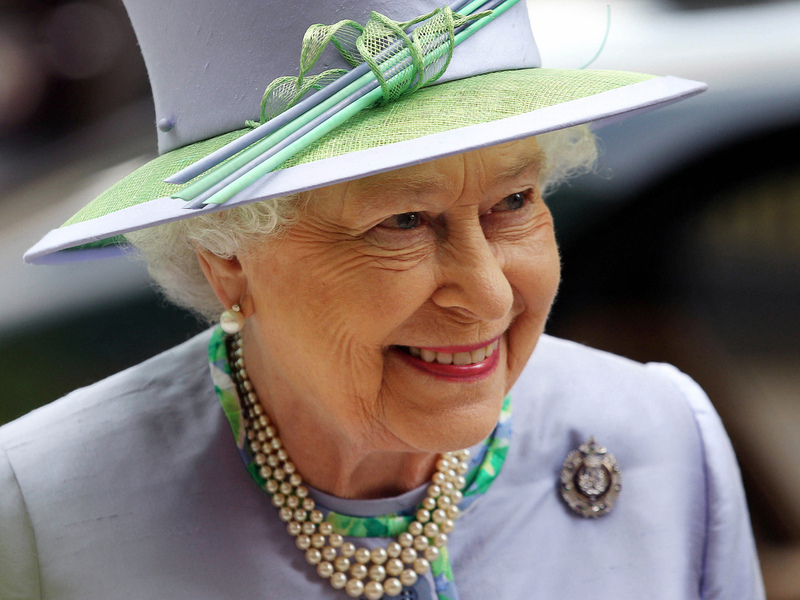 The Diamond Jubilee takes place over the weekend, marking 60 years of the queen's reign in Britain. Brown first recommends a Newsweek article by historian Simon Schama that takes the reader back in time to Queen Elizabeth's coronation in 1953, a year after her proclamation as queen. While Queen Elizabeth seems like a national grandmother today, she was 26 at the time of her coronation, and in photos from the day she appears with a broad smile, "a real 'It Girl,' " Brown tells Morning Edition's Renee Montagne. "She was this young woman of great celebrity appeal actually," Brown says, "and her husband, Prince Philip, the young naval officer, was a real heartthrob." Schama profiles the royal couple as well as evokes the postwar atmosphere of austerity in which Elizabeth became queen — rationing didn't end until 1954. Schama vividly describes how the nation's sacrifices played into the planning of the coronation. "They had to really consider, for instance, for the first time whether or not the BBC cameras would be allowed in," Brown says. "Interestingly, Winston Churchill and his Cabinet were against it, as was the Archbishop of Canterbury. Churchill felt it would show too much riches and ermines and upper-class kind of overbearingness which might be very bad PR — and the Archbishop of Canterbury thought the reverse: that letting cameras in would kill the mystery and the mystique of the monarchy." But it seemed that Elizabeth herself had not been consulted, and the decision not to have cameras present was reversed. As Schama writes: " 'The cabinet is not being crowned, I am,' she is said to have told the government." "It was a crucial decision," Brown says, "because letting the cameras in allowed 52 percent of the British nation to watch it and really took them into the patriotism and the excitement and the color .. and set her reign off to a very, very popular moment." 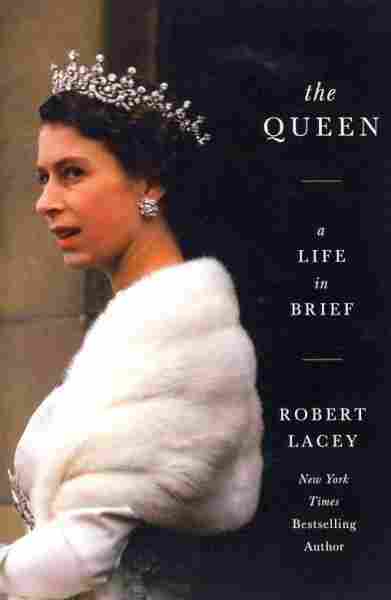 Brown next suggests The Queen: A Life in Brief by Robert Lacey, which Brown says gives a useful overview of Elizabeth's reign. "It reminds you of great things," Brown says, "for instance, of Philip's great feeling for the queen when he was trying to persuade her mother to let him marry her." To have been spared in war and seen victory, to have been given the chance to rest and re-adjust myself, to have fallen in love completely and unreservedly, makes all one's personal and even the world's troubles seem small and petty. Brown highlights another epoch from Elizabeth's reign — her time as a grandmother — that Lacey describes. "She really made up for all her terrible troubles with her own children," Brown says, "by becoming a very, very good grandmother to William and Harry once they lost their mother, Diana." Lacey writes that William, when he attended Eton College, would visit Queen Elizabeth every Sunday at Windsor Castle for tea. "She would go through all kinds of fun historical mementos," Brown says, "and it has actually prepared him in a good, sort of sober way for the immense destiny that he faces." The biography also touches on the more publicly contentious periods of the queen's reign, including Elizabeth's self-described "annus horribilis" in 1992 when members of the royal family divorced and a tell-all biography of Princess Diana came out. Not to mention the "Squidgygate" scandal that ensued after tapes surfaced of the princess's phone conversations with a close male friend. "It was just a terrible year," Brown says, "that ended with Windsor Castle going up in flames and her having to really decide for the first time that the royal family would allow to be taxed. It was just the worst period for her." For whatever scandals the crown has suffered the past two decades, though, Brown's third recommendation — the result of a poll conducted by the U.K.'s Guardian newspaper — shows that support for the monarchy is as strong as it has ever been. Sixty-nine percent of respondents in the poll said the country would be worse off without the monarchy, while 22 percent said the country would be better off. "That 47 percent royalist margin is pretty incredible," Brown says, "when you consider they also recently have polled what people think about the three political leaders in England [Prime Minister David Cameron], [Deputy Prime Minister Nick Clegg], and [Labour Party Leader Ed Miliband], and those guys got 11, 12, and 27 percentage points off doing a bad job." 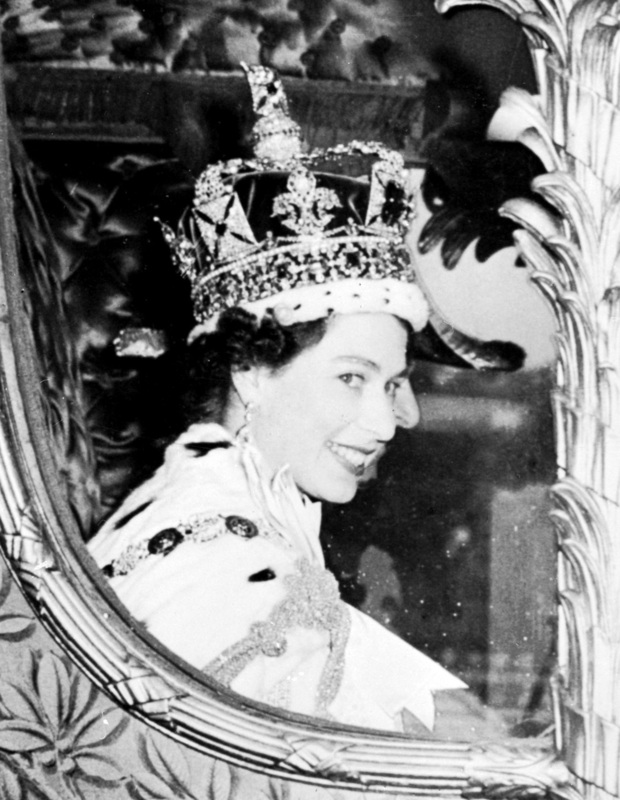 Queen Elizabeth II is seen after being crowned at Westminster Abbey in London on June 2, 1953. 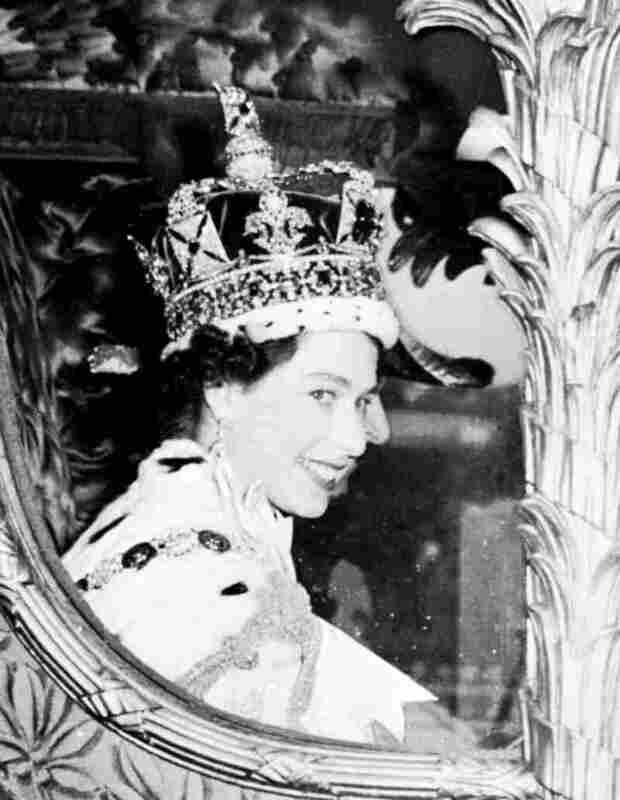 Elizabeth was proclaimed queen in 1952 at age 25. Although respondents said they would continue to support the monarchy after Elizabeth's death, when asked specifically about Prince Charles as king, reactions were more negative: Thirty-nine percent want the crown to go to Prince Charles next, while 48 percent want it to pass straight to Prince William. In the 1980s and '90s, Diana was the only one who rivaled the queen's ratings. Brown says that the chances of the crown skipping a generation are highly unlikely, though the transition from one monarch to another may present a small window of opportunity for those who support Britain moving toward a republic to gain some traction. That Queen Elizabeth has reigned for 60 years and remained popular, however, suggests a tactful, measured strategy, Brown suggests. "I think it's an enormous tribute frankly to how she has comported herself in this very, very difficult and oftentimes thankless job," Brown says. "She has just always been absolutely discreet, understanding the limitations of being a head of state in a constitutional monarchy. She simply has done her job with such judicious discretion that, in the end, people celebrate that she has been such an impeccable monarch."